Decorah | Winneshiek County Development, Inc.
Decorah, population 8,000, is a warm and vibrant town that offers plentiful recreation, a charming downtown, natural beauty, and a close-knit community—all while providing the conveniences of a city many times its size. Public transportation serving the area includes commercial airports in Rochester (Minn.), Waterloo (Iowa), and La Crosse (Wis.); a municipal airport in Decorah; and train and bus depots in La Crosse (Wis.). Decorah was named a 2014 All-Star Community by the Iowa League of Cities in recognition of its MetroNet Fiber Optic project, in which Luther was also involved. The project installed a loop of 144 strands of fiber optic cable, servicing 6 public entities including Decorah Community Schools, Winneshiek County Courthouse, Upper Explorerland Regional Planning Commission, Winneshiek Medical Center, Decorah City Hall and Luther College. The City of Decorah hopes to expand the services and are currently performing a feasibility study to further explore their options. 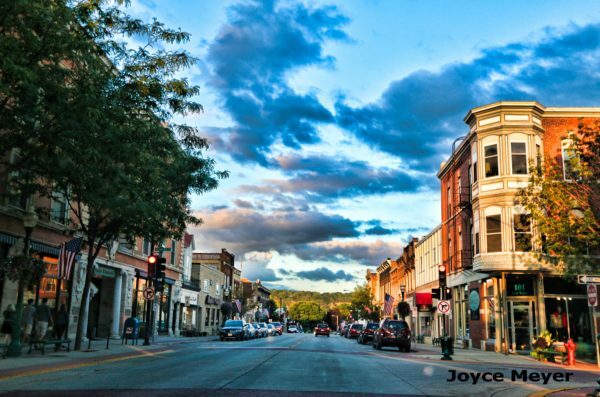 Decorah was also featured in Smithsonian Magazine’s annual list of the 20 best small towns to visit in America, as well as being named on Forbes “America’s Prettiest Towns” list and the 2015 Best Choice Reviews list of the 50 best small towns in America. All qualified real estate assessed as residential property, is eligible to receive an exemption from taxation on 100% of the first $400,000 of actual value added by the improvements for a period of five years. For more information about this program contact Chad Bird, Decorah’s City Administrator. For more information about the City of Decorah, please visit their website. Decorah Jobs is a local economic development group whose primary purpose is to conserve, improve, develop, promote, advance and expand existing industrial, commercial and professional enterprises and said locality. Decorah Jobs focuses to attract and aid in securing the location of new industries in Decorah, by advertising and publicizing the industrial, cultural, labor, social, and educational and physical advantages of the area. Decorah Jobs teams up with Winneshiek County Development to assist the organization by locating, developing and making available suitable industrial sites and locations. The Decorah Business Park is the organization’s most current project, promoting and selling lots to businesses. Visit the Decorah Business Park page for more information.